So far we have been having a good time keeping our meal costs low but the meals still tasty. For tonight’s meal we will be going for the nice hearty home cooked meal that fills you up and makes you come back for more. In our house this is by far a family favorite! 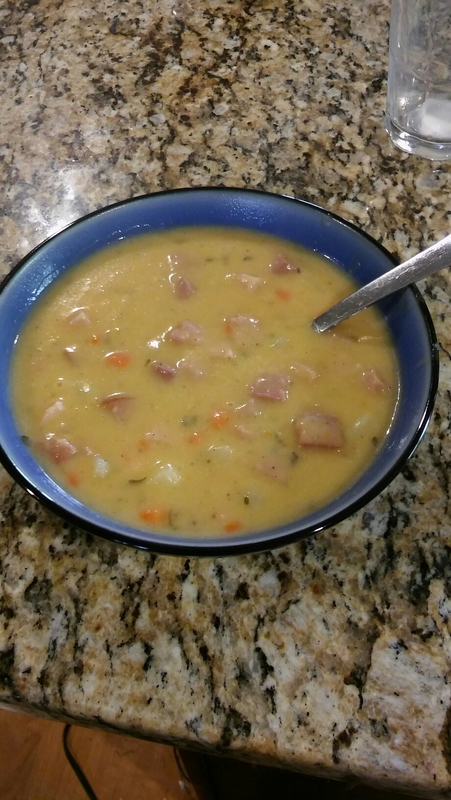 Homemade Ham and Potato Soup (with carrots). This meal starts off by simply taking that wonderful ham steak you purchased and trimming the fat from it. Once you have done that, cut the meat into small bite size pieces. You want to make sure you are getting a small bit of everything in each bite. Set the meat aside for now. Peel some of your potatoes. I usually do about a pound or pound and a half. For me this will be about 6 or so good sized potatoes. 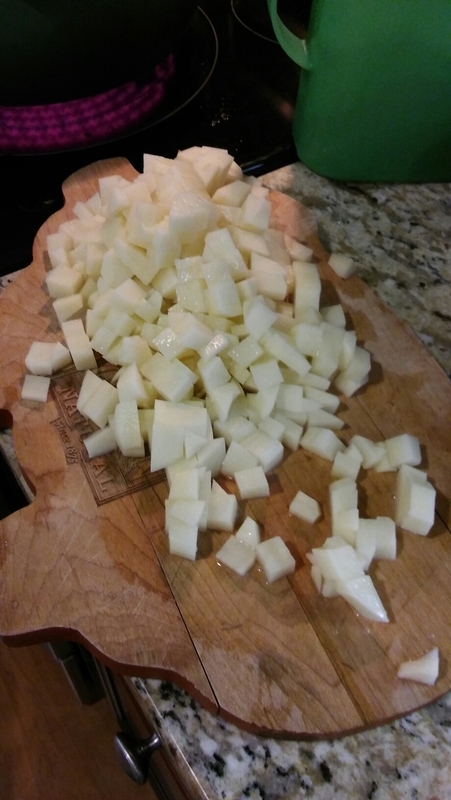 Once you have peeled them, rinse them off and cube them up as well. Take a large pot and add two tablespoons of butter to it. Do not turn on the stove just yet. Take a quarter to half of an onion, depending on your onion preference, and dice it up nice and small. Now go ahead and melt that butter. 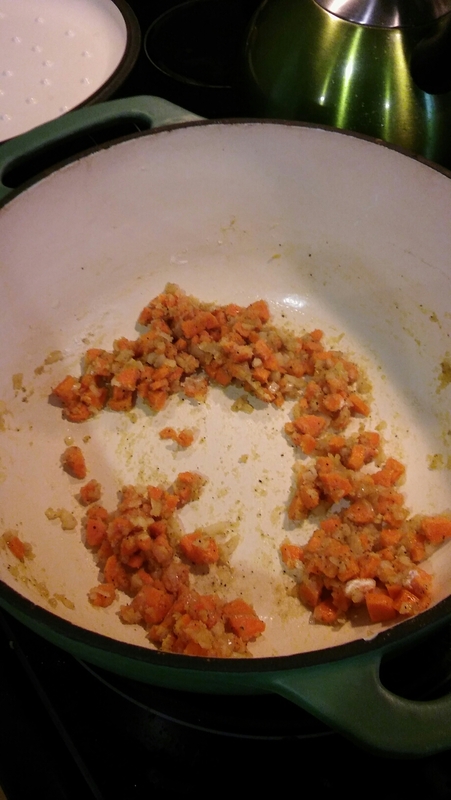 Once the butter is melted, toss in the onion and four diced carrots. You are cooking this just long enough to soften it up and be translucent. Add two tablespoons of flour so that it forms a nice thick paste. Now slowly add your chicken broth a half a cup or so at a time. I tend to just drizzle it in slowly. While you add, stir continuously. You are making a mild rue here. 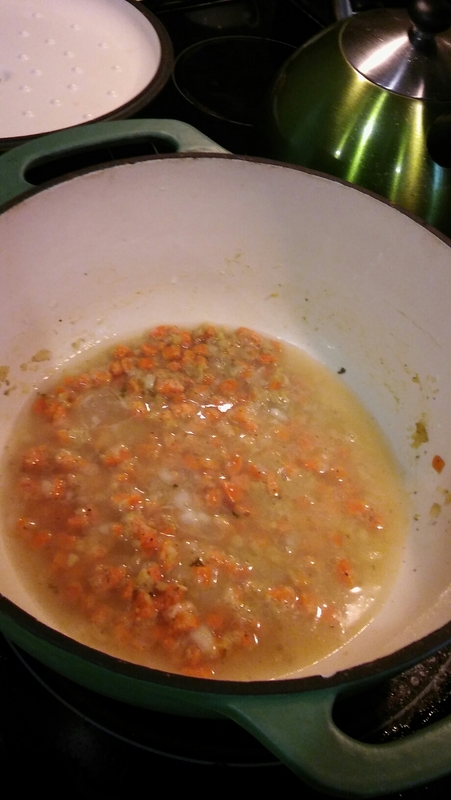 It will not be your true thickener for the soup but it seems to add some wonderful textures. 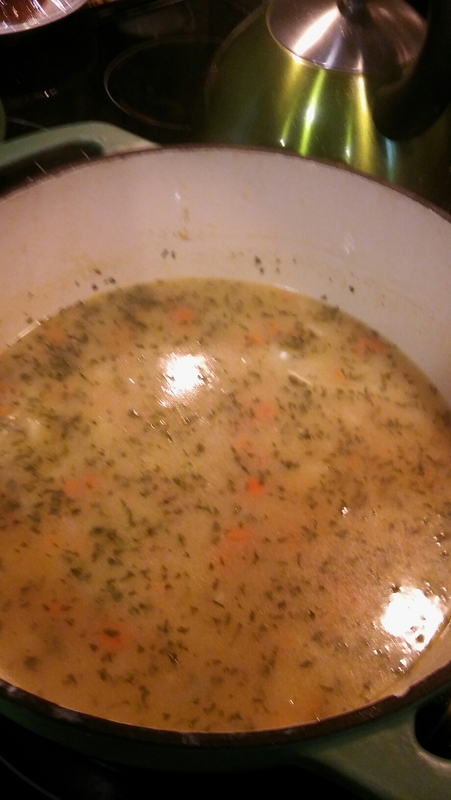 Once you have added your full two cups of chicken broth to the pot add in your potatoes. Adjust your broth level if you think you are in need of more at this point. Bring this all to a nice low boil, rolling boil is not necessary for this by any means. Keep it cooking until your vegetables are fork tender. I three in some parsley here too. 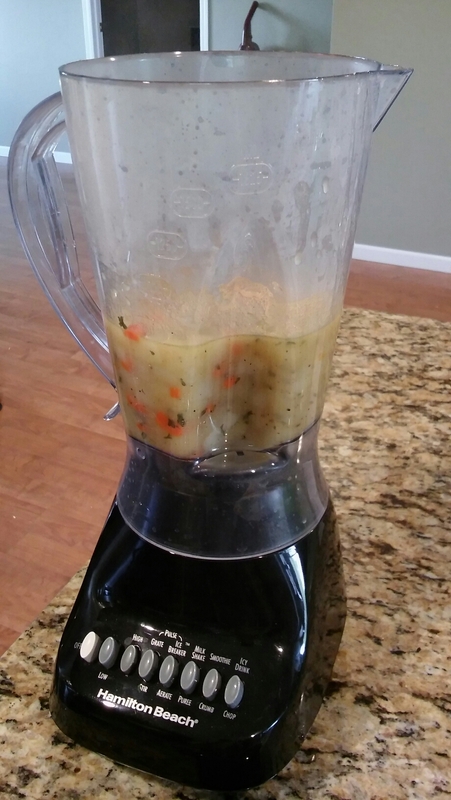 Once the veggies are fork tender take half of your mixture from the pot and place in a blender. Be very careful so that you do not get burned here. I use a towel on top of our blender top even just to be safe. Blend the mixture in the blender until it is nice and smooth. I like to add about a ¼ cup or a bit more of heavy whipping cream here just for some added richness but it isn’t necessary. Take the blended portion of the mix back to the pot and add it in again. 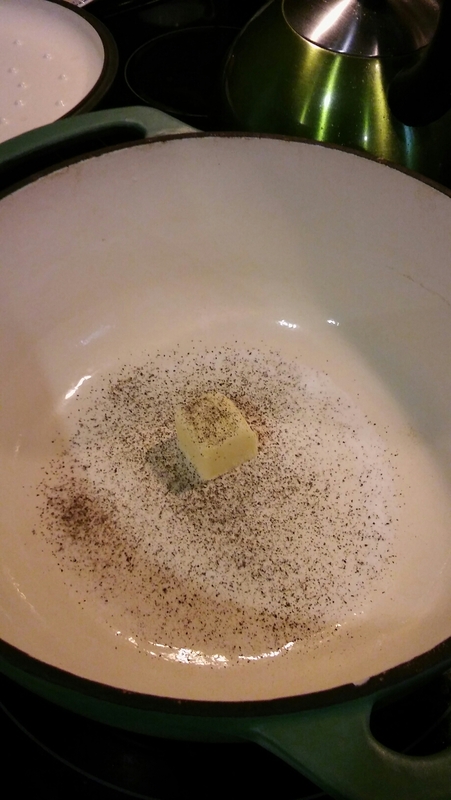 Add ¼ teaspoon of black pepper and ½ teaspoon of salt to the pot as well. 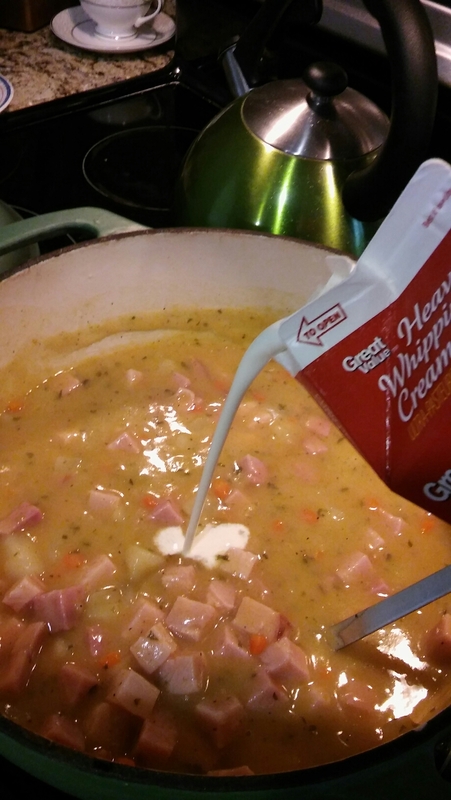 Now add the delicious cubed up ham steak. 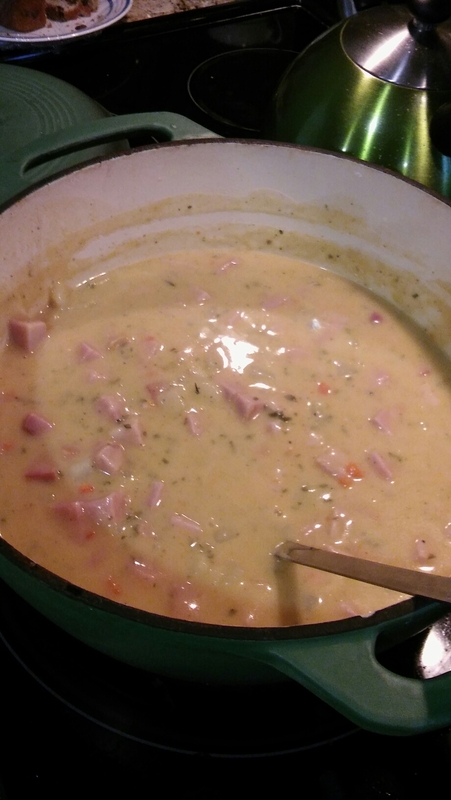 The ham steak will add some saltiness to your soup so don’t fret if it isn’t tasting just the way you want right now. Let the entire contents get good and warm. I usually put it on low for a good 20 minutes. Have a taste and adjust your salt and pepper at this time. Serve with big chunks of bread. Enjoy! This meal freezes well and reheats beautifully. 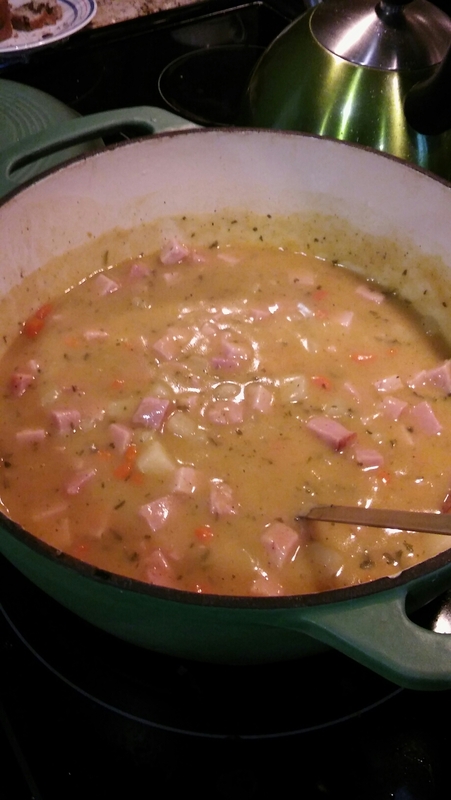 Every time I make ham and potato soup at our house I always do a triple batch. Yup, triple. My boys love it and I want to make sure we have some for later too. Cost for this meal is about $1.77 a person, based on an individual eating about a cup and a half of finished product. Prices may vary based on location of products. Like I mentioned before though we have plenty of leftovers. A serving size was honestly a good cup and a half (yup, we indulge). This post was shared on a lovely blog hop. Check it out here.